I was delighted to get an early release read of this book. After reading Southern Fried Sushi I was immediately hooked on Spinola. This second books does not disappoint. 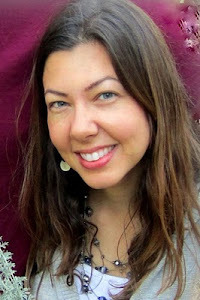 Shiloh P. Jacobs has a new life in Virginia and a new life with Jesus as her Savior. Life should be going splendidly for her...right? Not quite. Her finances are a mess, the IRS has a hold of her checking account, her half-sister is fighting her for her mom's house, and the house is weeks away from being taken away. Not to mention she's working non-stop and her dear friend Becky has given her a puppy. Life continues on in hilarity in Virginia where mullets are king and deep friend food soothes all woes. 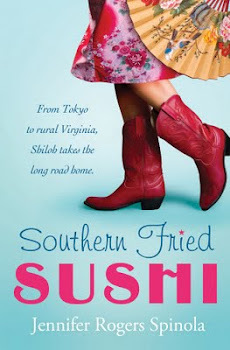 Insert a surprise visit from her best friend from Tokyo and her handsome ex-fiance and this book will keep you hopping. In the midst of all the craziness Shiloh finds her new relationship with Jesus to be both fulfilling and difficult and somehow exactly what she needs. She sorts through real life problems with the new filter of "what would Jesus do?". God continues to woo her away and her delight at knowing Jesus will give you fresh eyes at what it means to walk with Christ. We certainly can not forget the not so handsome Adam who has done absolutely nothing to charm Shiloh and yet she finds herself drawn to him. They hit setback after setback as they try to "court" and you'll find yourself frustrated at the lack of communication these two have! I'd keep going but I'm not going to give it all away. 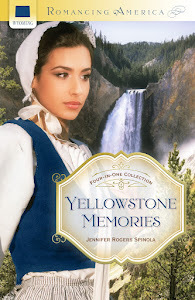 Spinola continues to write with the light and color that makes reading her novels seem like a vacation. Her descriptions are just the right amount of spice and make the book the gem it is. 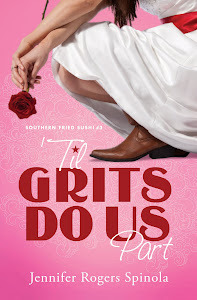 Her character development is thorough and these characters are ones you'll find yourself wanting to hop in your car to Virginia to hang out with. Another delightful read that I highly recommend! Kuddos once again to Spinola for writing with transparency and honesty. 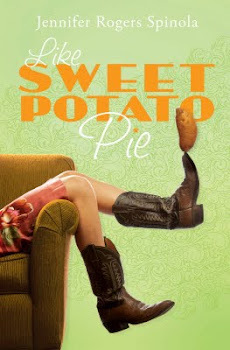 Releasing in March you can pre-order Like Sweet Potato Pie here. Thank you to Barbour Publishing for providing me a digital copy of this book in exchange for my honest review.